Help! I just got charged $10 for Extra data ! What do I do ? 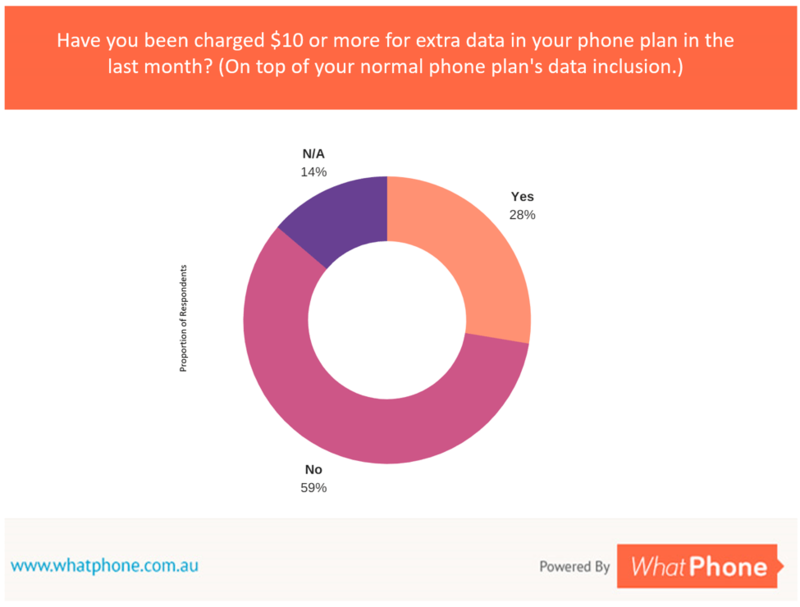 Around 30% of Australians have been charged $10 or more in the last month for data. The $10 charge gives you 1GB of extra data to use. 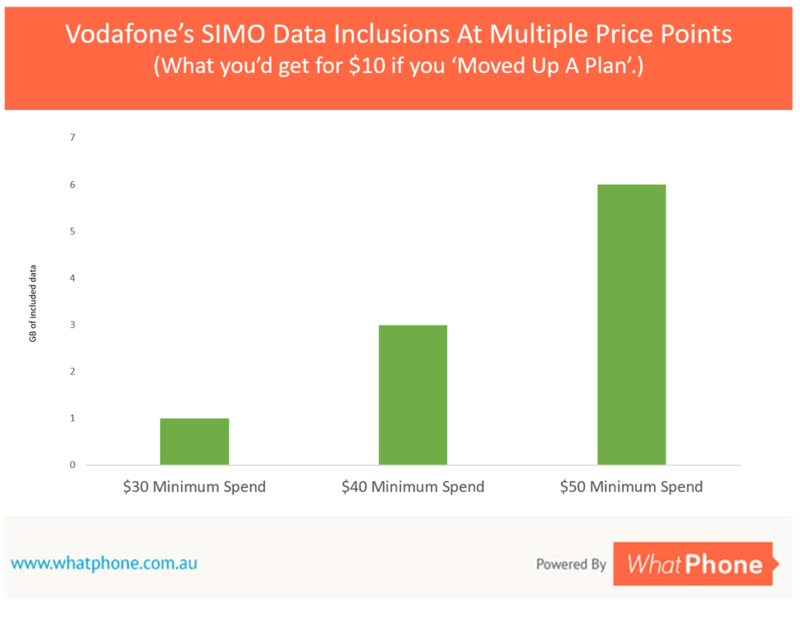 The 3 main phone companies in Australia have a consistent charging mechanism in their SIMO ( Sim Only ) plans. 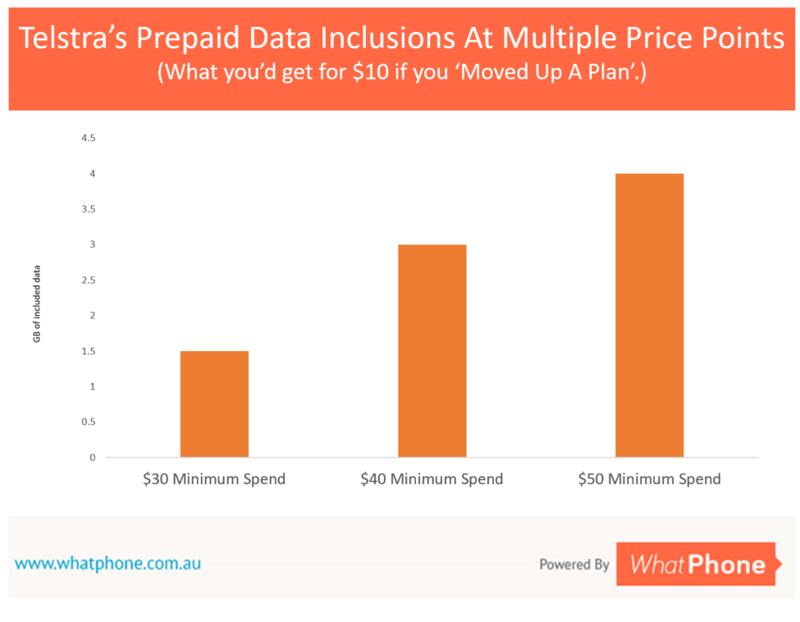 The ‘extra data charging scheme they have was introduced in 2013 under Optus ‘My Plans’ tariff update. Under the current arrangement, when users exceed their included data allowance, they are automatically charged $10 extra and provided an additional GB of data. Remember, this can happen more than once in a month. 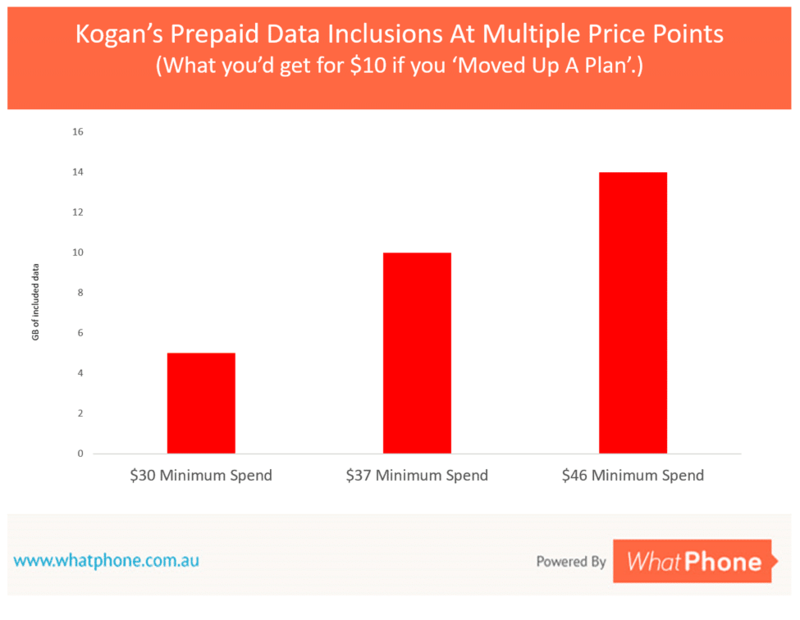 You could end up with a bill of $10, $20 or even more for extra data in a single 30 day period. 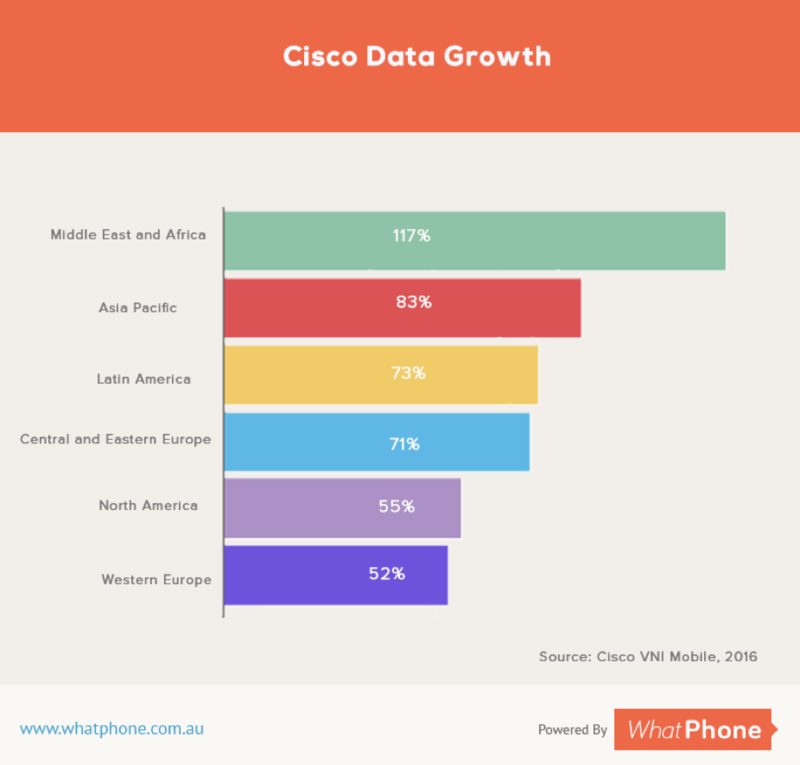 Above : Source : WhatPhone Listing 7th September 2017. When you take out a $30 postpaid plan, you might think you’re signing up to an agreement under which you pay $30 per month. Not necessarily! Part of all postpaid agreements is a contract with your phone company that they will charge you for any services outside the core of your agreement with them, automatically. The $30 per month is actually the minimum you will pay, per month for the service you take out. They will clearly state this on their website if you look for it! Your plan will include a data allowance. In the Optus example, above, a $50 Minimum Monthly Spend will get you 6GB per month at the moment. Extra data, international calls, and other services outside your allocation will also be charged for separately. When you’ve used up your 6GB, you will be charged $10, automatically, on top of the $50 Minimum Monthly Spend for an extra GB of data. Our survey also revealed that many people had been on their phone plans for a long, long time. Too busy to update their SIM, many are stuck with data allowances from years ago. Here’s an example: Optus’ $50 SIM Only plan currently includes 6GB of data. In the event a user gets to 6GB of data and uses a little more, they are charged $10 and given one more GB of data. This situation only applies to Postpaid services of course. Properly managed, prepaid plans have a ‘hard stop.’ With prepaid, when the user reaches their chosen credit limit, the data service stops until the service is recharged. The $10 is a warning. It happens because, over time, your data use is increasing. Help ! I’ve been charged $10 extra – what can I do? You have two options when it comes to the $10 extra monthly charge for data. You can pay it, and/or you can ‘move up a plan.’ Our research (below) shows that you are ALWAYS at least as well off moving up a plan. You are usually much better off increasing your minimum monthly spend by $10 than waiting until you get charged an extra $10 per GB. It’s worth noting that you can usually move up a plan and return to your original spend later if you want to. Moving from a $30 per month minimum spend to a $40 per month minimum spend on Telstra prepaid gives you 1.5GB of data. Moving from a $30 per month minimum spend to a $40 per month minimum spend on Vodafone SIM Only ( SIMO) gives you an extra 1.5GB of data. You can ‘move up a plan’ (increase your minimum monthly spend) either by giving your telco a call or by logging in to your self-service account. Here is one example: Optus. The $10 extra charge is far better to the way they used to charge for data. There have been far fewer incidents of bill shock since it was introduced. Before Optus implemented this solution, (and everyone else copied them) ‘out of bundle’ data charging used to cost around 10 cents per MB with most phone companies. That doesn’t sound like a lot but it’s about $100 per GB of data – ten times more than you pay now. In some ways, that’s the problem. The $10 fee is a small charge which most people ignore. However, with data usage increasing every month, our advice is to confront the situation head on. If you see the $10 charge come through once, you are likely to see it again in the future. If you have been charged $10 extra this month, consider it a warning from your phone company. Considering prepaid plans, under which this $10 charge is almost unheard of is a viable solution. Prepaid plans are often overlooked as a result of people’s prejudice when, in fact, for many, they are the ideal option. And, if you keep getting the $10 charge for 1GB of extra data, just move up a plan. You will get at least 1GB, and often 5GB or more extra data (see graphs above) if you do so.